Louis Vuitton has just announced the launch of the Louis Vuitton Young Arts Project, an unprecedented partnership between Louis Vuitton and five of London’s leading art institutions: Hayward Gallery, Royal Academy of Arts, South London Gallery, Tate Britain and Whitechapel Gallery. The Louis Vuitton Young Arts Project embodies the brand’s creative spirit and its long tradition of arts patronage, as well as its ongoing commitment to corporate social responsibility and to London. Following the sponsorship of numerous exhibitions at major institutions, and the success of the Louis Vuitton Art Talks series at which artists interact closely with the invited audience, Louis Vuitton wanted to celebrate the opening of the New Bond Street Maison with a major new project that would extend opportunities to younger, often less privileged people to access the art world. Louis Vuitton’s discussions with the five partner institutions, as well as artists Chris Ofili and Charlie Dark, helped shape the project’s current form. 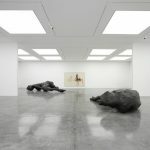 The project initiated by Louis Vuitton, will be led and managed by the South London Gallery who will work hand-in-hand with the Louis Vuitton team, and the other four institutions. 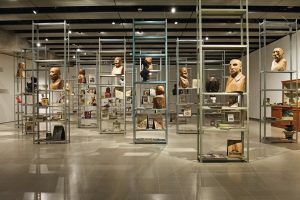 This three year arts and education programme will give young Londoners from across the city unique access to the museum directors and curators, artists and collectors who shape the British contemporary art scene, which is widely acknowledged as one of the most dynamic and successful in the world. 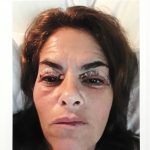 A number of these figures sit on the Louis Vuitton Young Arts Project’s Committee, which brings together high profile people including artists such as Tracey Emin, Gary Hume, Michael Landy, Keith Tyson and high profile art collectors. The committee members will be pivotal in providing opportunities for the young participants to gain unparalleled insights into the art world, from the point of view of those who have already achieved so much in their own careers. The Young Arts Project will add a vibrant cultural dimension to these young people’s lives, and allow the participants to gain the insight, skills and experience necessary to consider the possibility of pursuing a career in the arts. The Louis Vuitton Young Arts Project will see five panels of young people, all from different areas of London, interacting as part of a peer-led youth forum for the enjoyment and further understanding of art. The five panels, one from each institution, comprise young people aged 13-25 recruited from local borough schools and community youth groups. The panels will collectively visit exhibitions at the five partner institutions, where they will be given exclusive tours and unprecedented access to the inner workings of the art world. The panels will also be invited to creative sessions and site visits, led by high profile art world insiders, which will include artists, collectors and museum directors. Through additional focused workshops the young people will help create a project website, complete with project title, to be launched in 2011. The website will be an evolving record of the project, providing an online community for debate, for showcasing work, for blogs and for reviews, and also enabling engagement with other art-interested young people who are not currently members of the Project. A selected group of young people from each panel will be chosen by the individual institutions to attend an intensive, five-day annual Academy, the first of which takes place in August 2010 at the Royal Academy Schools and Louis Vuitton New Bond Street. The Academy will offer behind-the-scenes visits to galleries and conservation studios, and talks by curators and critics. At the end of each year, there will be an opportunity for all the panel members and their families to celebrate their achievements. 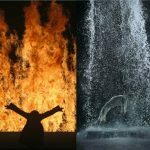 While Louis Vuitton has committed to the project for a three year period, encompassing cultural activity before and during 2012, it hopes to continue the Louis Vuitton Young Arts Project into 2013 and beyond. 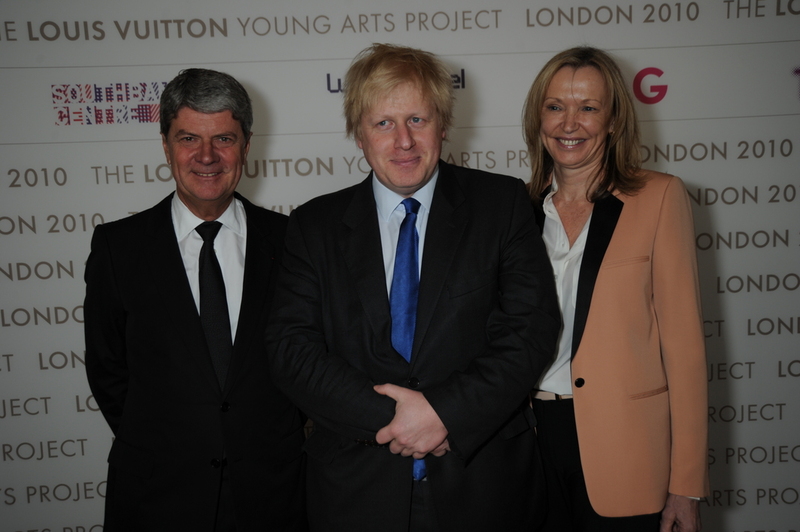 “We are proud that the Louis Vuitton Young Arts Project has been formally endorsed by the Office of the Mayor of London and The Arts Council of England. As the leader of the luxury industry we believe that we naturally have a responsibility to the world around us. Moreover, transmitting savoir-faire and creativity is one of our founding cornerstones. Preserving the past and preparing for a brighter future are fundamental values that have inspired us for more than 150 years. Supporting children and young peoples’ futures are one of our main actions worldwide. The Louis Vuitton Young Arts Project seeks to instil and nurture an exploration, enjoyment and passion for the arts among young people which they can take into adult life and perhaps follow as a career”. “What is particularly exciting is that Louis Vuitton wants to use its cachet and its cash to involve young people in the arts and is working together with such high profile cultural institutions. This chimes with so much of our work at City Hall to provide positive opportunities for young people and to promote culture in these difficult times. London needs businesses like this to think creatively about what they can give back”. “The Louis Vuitton Young Arts Project will enable the partner institutions to collaborate in new and inspiring ways, and this cross-fertilization promises to be both rewarding and fruitful for all involved. Louis Vuitton’s commitment to seeing this Project develop over the next three years, and their willingness to be responsive to young people’s ideas, make it an outstanding example of business nurturing interest in the arts”. This entry was posted in FEATURES, NEWS and tagged Boris Johnson, Charles Saumarez Smith, Gary Hume, Hayward Gallery, Iwona Blazwick, Keith Tyson, Louis Vuitton, LOUIS VUITTON YOUNG ARTS PROJECT, Margot Heller, Michael Landy, Penelope Curtis, Ralph Rugoff, Royal Academy of Arts, South London Gallery, Tate Britain and Whitechapel Gallery., Tracey Emin, Yves Carcelle. Bookmark the permalink.